Creatine – one of the most well-known and debated sports supplements available. There are hundreds of scientific research papers covering the safety and effectiveness of creatine monohydrate. In fact, no other bodybuilding supplement on the market is backed by such in depth scientific research. This is a great thing for us, because we can see scientifically proven facts that the use of creatine monohydrate is safe, and delivers improved gains in muscle mass, strength, and overall muscular performance. Creatine is an organic substance synthesised in the human body by the liver from 3 amino acids called methionine, arginine, and glycine. The body naturally makes around 1 gram per day. We also take in additional creatine from foods such as beef, salmon, and pork, with 95% of creatine being stored in skeletal muscle tissue. Creatine is an energy source that fuels and enhances the output of anaerobic exercise, such as intense weight training. It helps increase strength, so that you can apply more growth stimulating tension to the target muscle. It’s taken in supplement form, generally powders or capsules, and has a proven ability to increase power and strength, leading to greater gains in lean body mass. Creatine’s effects on muscular performance was first studied and documented way back in the 1920’s. But it didn’t get much attention until the 1992 Olympics when 100 meters’ athlete Linford Christie won Gold, and revealed that he’d been using creatine before competing. Just one year later a company called EAS released a creatine supplement to the market, aimed at the bodybuilding and strength training community. They called it “Phosphagen” and this popular product is still available to this day. Today, I will just be covering how and when to take creatine, so I won’t be going into great detail about its function in the body. However, I previously wrote a very detailed post on what creatine is and how it works, which you can read here. So, let’s cut through the crap and find out which type of creatine to take, how to take it, and when, for best results. The problem with creatine and its popularity is the sheer volume of conflicting information out there on how to use it for best results. Bodybuilding forums and websites all across the internet are bursting with bro-science and poor information on creatine, and how to use it properly. You’ll probably have noticed that there are a number of different types of creatines available, from creatine monohydrate, Ethyl Ester, Serum, Gluconate, Nitrate, Citrate, to Malate. Basically, all types of creatine do the same job, but that’s not what a lot of supplement companies want you to believe. You see, when a new type of creatine product hits the shelves, its marketed as the new “latest and greatest” breakthrough supplement, superior to all others. This is a marketing tactic deployed to create lots of buzz and hype around the new product, which is just what the supplement companies want, because this dramatically boosts their sales. But really, it’s all just creatine, with the only real difference between them being solubility and absorption speed. Not a single study exists that definitively shows any other type of creatine to be superior to monohydrate. All the major, and most in depth studies out there have been done on Creatine monohydrate, time and time again they have proven its effectiveness at safely at increasing strength and muscle cell volume. …If it ain’t broke, don’t fix it! Don’t get suckered by the next big creatine marketing campaign. Put your money away and stick to the proven, easily available, and low cost creatine monohydrate powder. There are a variety of successful dosing protocols, but the most common and well-studied is to front load with a large dose, followed by a maintenance dose. The goal with supplementing creatine is to saturate your muscle creatine stores. The fastest way to achieve this saturation is to load with a higher dose of 20-25 grams over 5 -6 days. Spread the dose out with 4 or 5 servings taken throughout the day. For example, if you choose to load with 20g of creatine a day, take 5g servings spread out 4 times a day. After the 5 – 6 days loading phase your muscle creatine stores will be saturated and you can drop down to a daily maintenance dose of 5 grams. Your tub of creatine powder should contain a 5g measuring scoop, if it doesn’t, just remember – 1 teaspoon = 5 grams. How Long to Take Creatine Monohydrate? Many studies show that long term use of creatine is safe. However, the quality of the product can be of concern when consuming for several months, or years. Dihydrotriazine is a potentially harmful impurity created through the production process of some creatines. I therefore recommend you choose a highly reputable company that uses high quality raw materials, sufficient screening, and manufacturing process. Look for products that use creapure creatine. It’s manufactured in Germany and recognised as the industry’s ‘Gold Standard’ creatine. It’s the purest and best form of creatine available, and is consistently screened for impurities and unwanted by-products to produce 99.99% pure Creatine Monohydrate. Example Creatine supplements that use creapure are Reflex Nutrition and MusclePharm. Cycling creatine supplements for around 8 weeks at a time is common. Here is an example of a popular and effective creatine dosing and cycle plan. As previously mentioned, there are no studies that indicate creatine cycling is necessary or that you need to stop using it after a certain length of time. If you’re using high quality creatine such as creapure, I don’t see any reason why you can’t run a maintenance dose every day, year-round. In fact, I know of people who use such a protocol without issue. A dose of 3 – 5g every day, year-round is safe and suitable for most people. Please check with your doctor if you plan to use creatine for a long time. 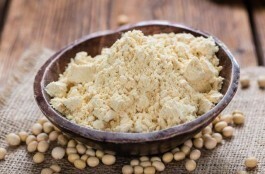 When you are in a loading phase you will want to space 4x 5g servings throughout the day. Taking one large dose may cause some users gastrointestinal distress, so it may be best to spread a 20g dose into smaller 5g doses taken throughout a day. There is no real evidence that shows taking a daily maintenance dose of creatine at a specific time of day results in any greater gains. One study showed that creatine remained effective in the system several weeks after consumption stopped. Creatine levels will remain high and readily available in muscle after the loading phase, so it’s fine to take your 5g maintenance dose whenever is convenient for you. Can I skip the loading Phase? Yes, you can start using creatine mono at 3 – 5g per day, without a front load. Muscle creatine store will be fully saturated within a few weeks, regardless of whether you load with a high dose first. The only benefit in doing so would be that you’d reach saturation levels slightly quicker, but it’s not necessary. Studies have found creatine to be very safe, with no significant side effects shown. 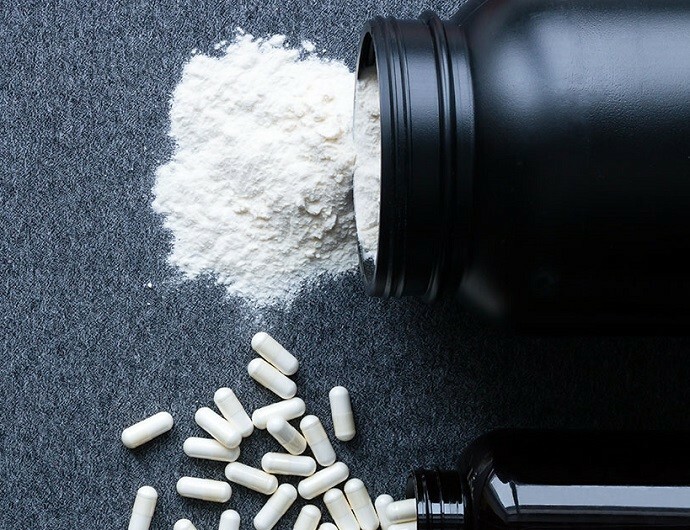 With that said, if you’re suffering from anything serious, like liver or kidney disease, or high blood pressure, it’s recommended that you avoid taking creatine. But for most people, it’s perfectly safe to use long term. 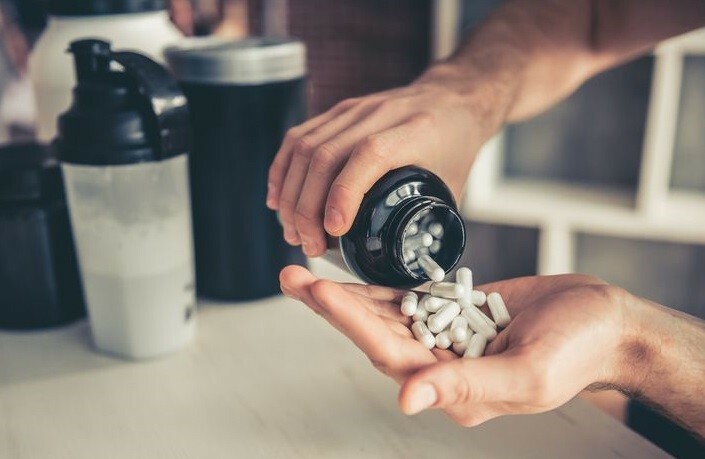 In 2004 the European Food Safety Authority (EFSA) published a record that stated that oral long-term intake of 3 g pure creatine per day is “unlikely to pose any risk”. The reports of damage to the kidneys or liver by creatine supplementation have been scientifically refuted. Of course, with any supplement, consult a health professional before use. What Should I Mix creatine with? 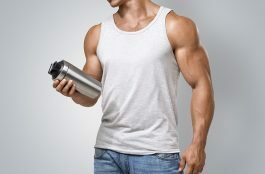 It doesn’t matter what you mix your creatine with – water, fruit juice, whey protein shake – it will be digested, absorbed and utilized by the body all the same. It’s true that creatine can cause water retention, but most people won’t experience any unsightly “bloating”. That’s because it doesn’t cause subcutaneous water retention, or bloated stomach. In other words, there’s no water retention directly under the skin, so you won’t experience any soft, bloated appearance. In fact, the water retention side effect from creatine is desirable, because it increases the volume of water within the muscle cell, resulting in muscles feeling fuller, and denser. I hope this article has answered your questions about creatine supplementation, and how best to use it.